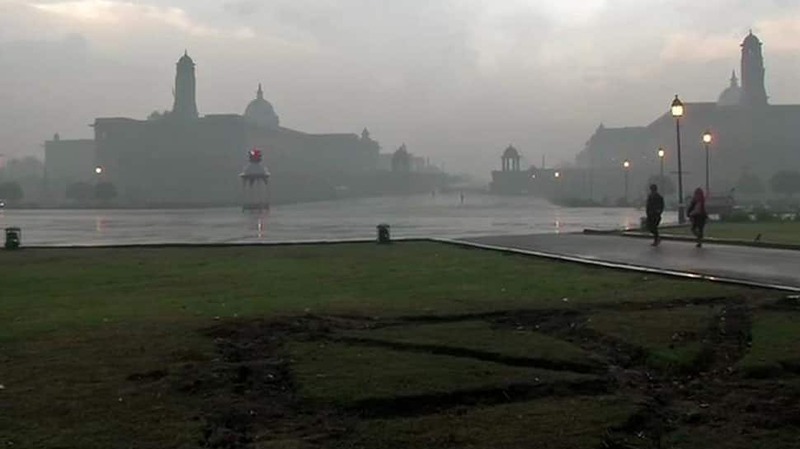 Rains lashed several parts of the national capital early on Thursday morning, witnesses a change in the weather. At least ten trains towards Delhi are running late due to the low visibility conditions, news agency ANI reported. On Wednesday morning it was partly cloudy with the minimum temperature settling one notch above the average for the season at 11.4 degrees Celsius. The MeT had predicted a cloudy sky with the possibility of very light rain or thundershowers by the night. The Indian Railways had said that as many as 14 Delhi-bound trains were delayed due to fog. On Wednesday, the overall air quality remained ‘very poor’. According to data by the Central Pollution Control Board (CPCB), the overall air quality index (AQI) of the city was at 365. The CPCB had said 26 areas in the national capital recorded ‘very poor’ air quality, while three areas had ‘severe’ quality air. The authorities had said that the air quality would remain the same till Thursday morning.